If you're a fan of the hit drama "Suri Hati Mr Pilot" starring the ever-so-handsome Fattah Amin (Captain Ejaz Fakhri) and the drop-dead-gorgeous Neelofa (Warda Erina), then chances are you must have the Official Sound Track "Selamanya Cinta" by Shila Amzah and Alif Satar on replay at the back of your head. If you’re a fan of the hit drama “Suri Hati Mr Pilot” starring the ever-so-handsome Fattah Amin (Captain Ejaz Fakhri) and the drop-dead-gorgeous Neelofa (Warda Erina), then chances are you must have the Official Sound Track “Selamanya Cinta” by Shila Amzah and Alif Satar on replay at the back of your head. Update: A new drama called "Red Velvet" is coming soon, featuring Alif Satar and Neelofa! 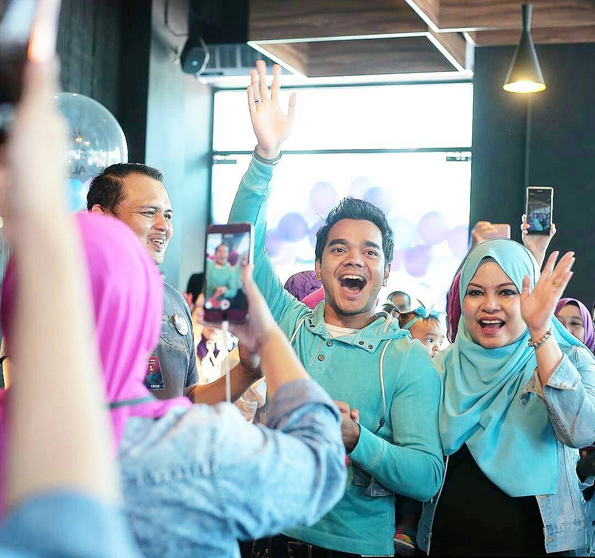 We’re so ecstatic that we were engaged to decorate artist Alif Satar’s purple + sky blue themed birthday party. The singer / actor / TV host and his manager trusted and believed in IzsyPizsy’s capabilities and creativity; truly and honour and privilege. He was so touched with the whole event that he actually CRIED during his speech. As quoted from Berita Harian “Saya menyangka boleh ‘cool’ apabila tiba di lokasi acara tetapi sangat terharu dengan usaha dan sokongan yang diberikan. Disebabkan itu saya menangis apabila diminta menyampaikan ucapan. “Sebelum ini saya melihat sambutan sebegini diberikan kepada Datuk Siti Nurhaliza. Namun apabila saya mengalaminya, memang terharu,” katanya. Our party decor has been featured in Harian Metro newspaper. Not one, but TWO full pages feature. Full article available at Harian Metro. 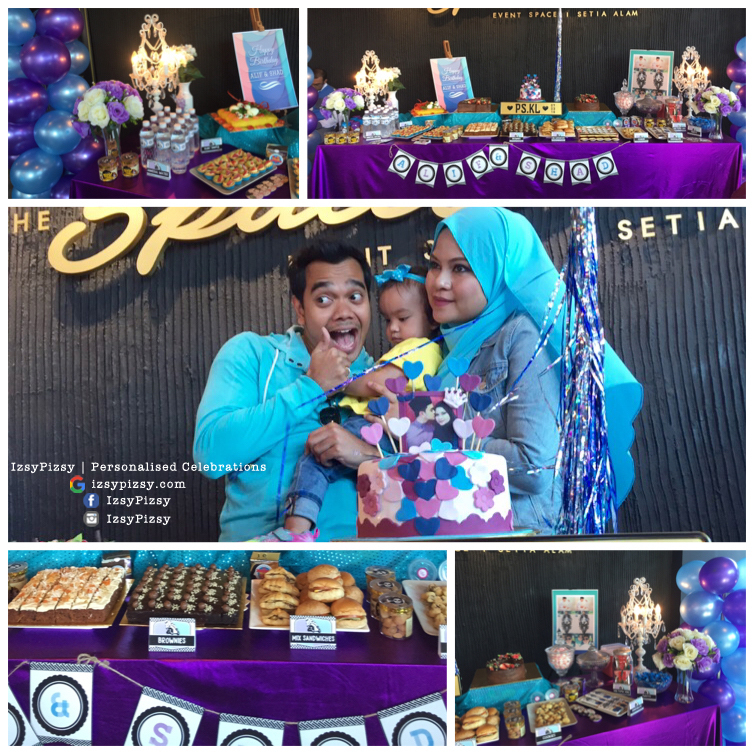 Alif Satar & wife Shadila 's birthday party in purple and sky blue theme, such a wonderful combination, perfect for the sweet loving couple. Full house in purple and sky blue theme. Event was wonderfully planned and executed with great response from Alif Satar fans. 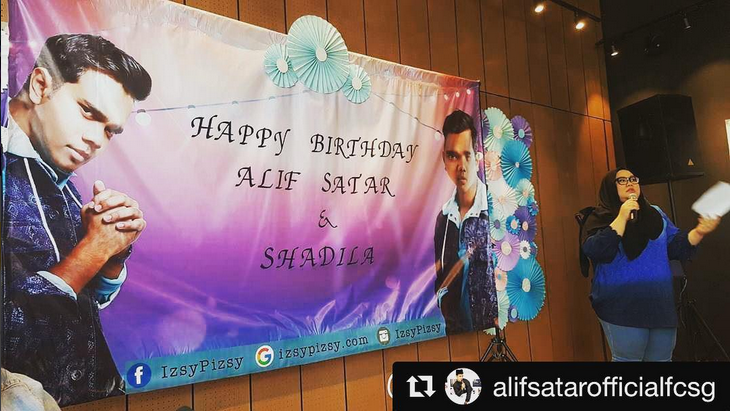 Our decorations (including and not limited to backdrop banner) for Alif Satar was broadcasted live all the way to Singapore! Thanks for the live update Alif Satar Official FC SG. Alif Satar and wife Shadila making a grand entrance and wonderfully greated by his fans. Alif Satar giving the thums up for the amazing birthday & anniversary celebration. 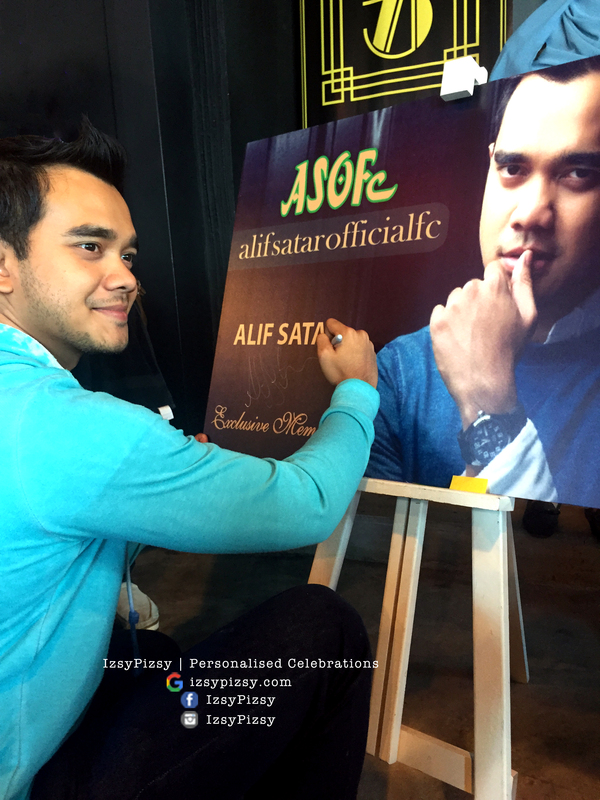 Signing ceremony to mark the official launch of Alif Satar Official Fan Club. Mock up card by IzsyPizsy. 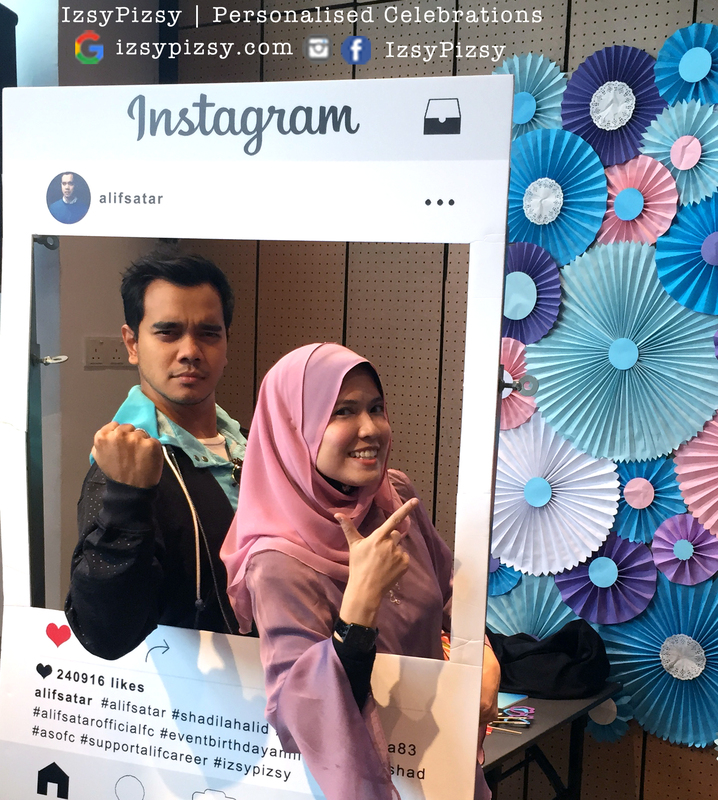 Alif Satar and izsypizsy's lady boss striking a pose at our instaframe photobooth with decorative paper fan backdrop - perfect for any event including weddings, engagements and showers. 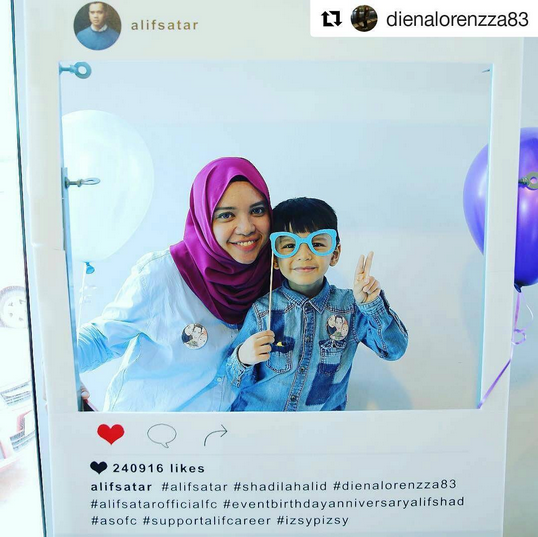 Alif Satar's manager Diena and her handsomely charming young son striking a pose at our instaframe photobooth. 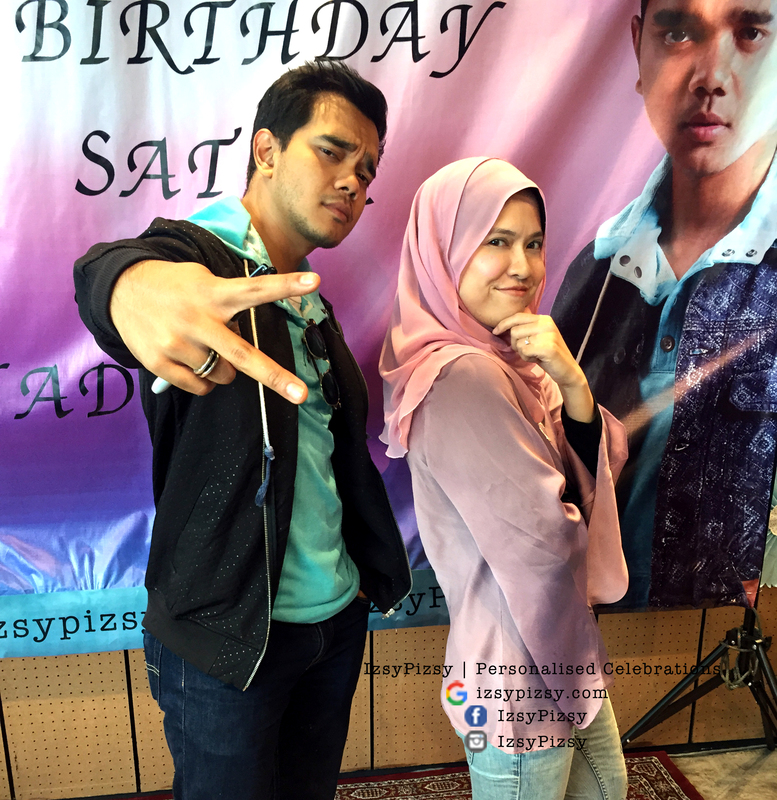 Alif Satar and izsypizsy"s lady boss : And that's a wrap! Peace out.